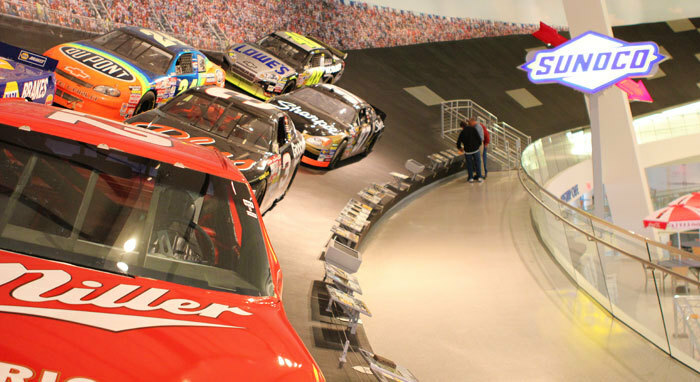 NASCAR Hall of Fame is an interactive, entertainment attraction honoring the history and heritage of NASCAR. The museum aims to please both race fans and non-race fans alike with artifacts, interactive exhibits, the Hall of Honor, Buffalo Wild Wings restaurant, retail outlet. Come and explore all of the interactive exhibits and our temporary exhibits. Until December 18th, NASCAR Hall of Fame is open on Tuesdays exclusively for events and pre-paid groups.